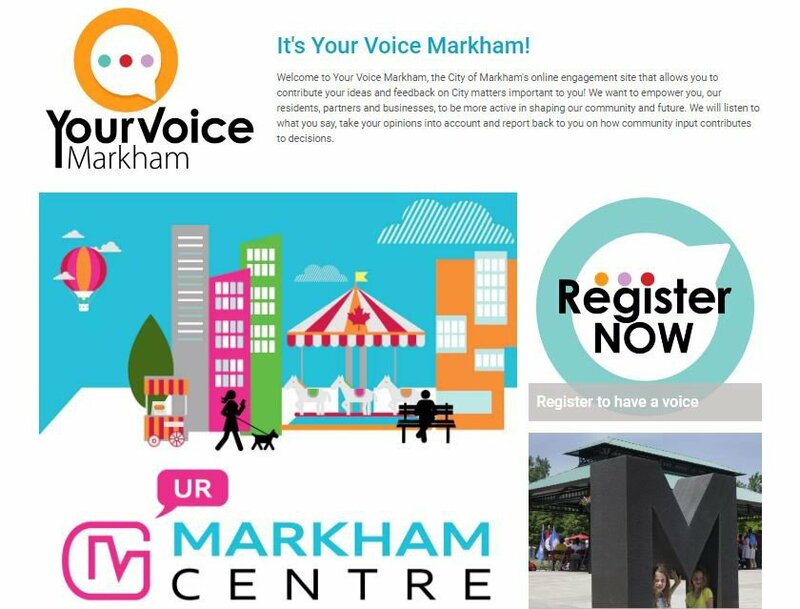 The City of Markham is transforming the way residents share ideas and access information with the launch of its new online public engagement website, Your Voice Markham. 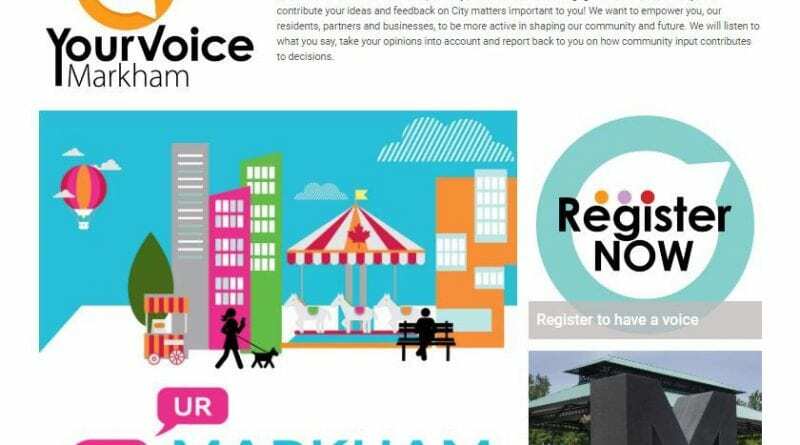 YourVoiceMarkham.ca allows residents to influence planning and other important decisions on city matters that are important to them. 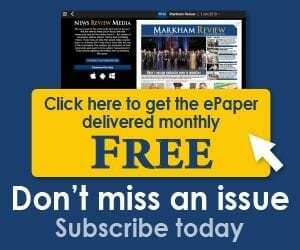 The city’s goal is to engage and interact with those who live, work and play in Markham so that ideas can be shared with city staff who will collect feedback so they can make more informed decisions as the city plans for its future. There are a few projects on the website where the city is seeking community input, and more will continued to be added in the future. Some of the projects include: Your Markham Centre, Markham’s Gateway Master Plan, and Main Street Unionville Streetscape Master Plan for the Commercial Core. The vision for Markham Centre is to create a complete and integrated community, containing a mix of uses suitable to a City Centre, including residential, commercial, recreational, cultural and institutional facilities. Your Markham Centre, led by Parvathi Nampoothiri, senior planner, Urban Design for the City of Markham, aims to collect feedback and ideas for what people want in Markham Centre. Feedback on this project will be open until about mid-June. After this, information will be analyzed by Lura Consulting for inclusion into a community engagement summary report. The city is holding a series of “pop-up” consultations for Your Markham Centre, including in community centres and libraries. Pop-up locations and more information can be found on yourvoicemarkham.ca/Markham centre. Gateway features are another area the city would like to receive feedback on. Through its Gateway Master Plan project, the city is requesting help from the public to identify the best locations for city gateways. City gateways help create a sense of identity for the community, and also helps highlight special areas and to further develop a sense of place. Main Street Unionville Streetscape Master Plan for the commercial core is another project, this time led by Regan Hutcheson, Manager of Heritage, Planning & Urban Design. While community input on this project has closed, residents are encouraged to check back for more information and next steps regarding this initiative.